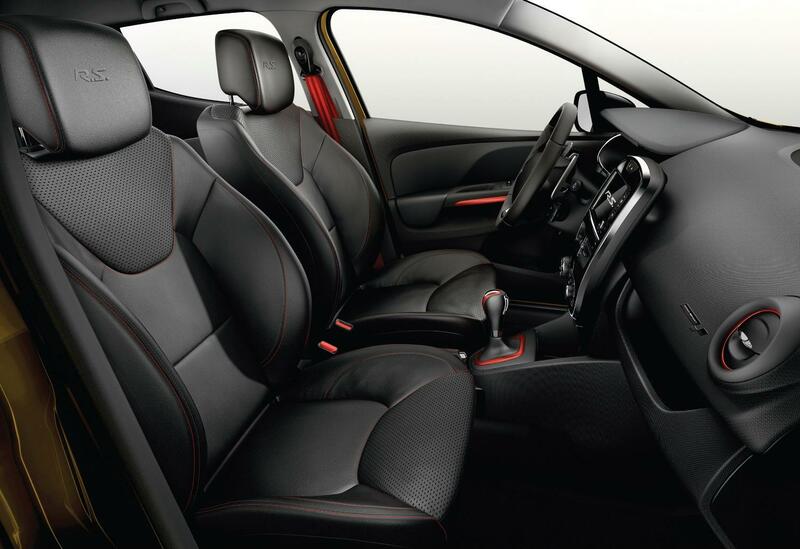 Additional Info: The 2013 Clio 200 Turbo is available as a 5 door hatchback. 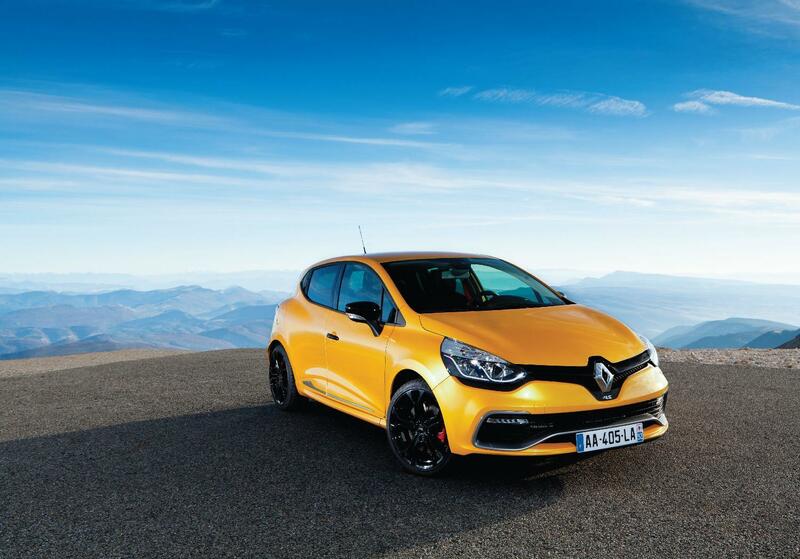 The Clio RS Turbo now uses a more economical and emissions friendly 1.6 litre turbocharged engine and a semi-automatic double-clutch gearbox – EDC (Efficient Double Clutch). There is an ‘R.S. 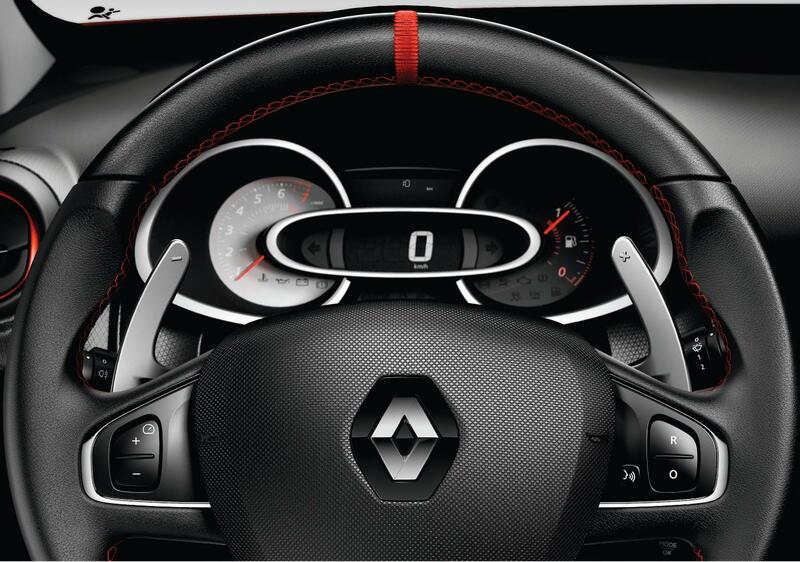 Drive’ button, that remaps the settings for the engine, transmission, steering feel and throttle response with three settings, which are ‘Normal’, ‘Sport’ and ‘Race’ modes. 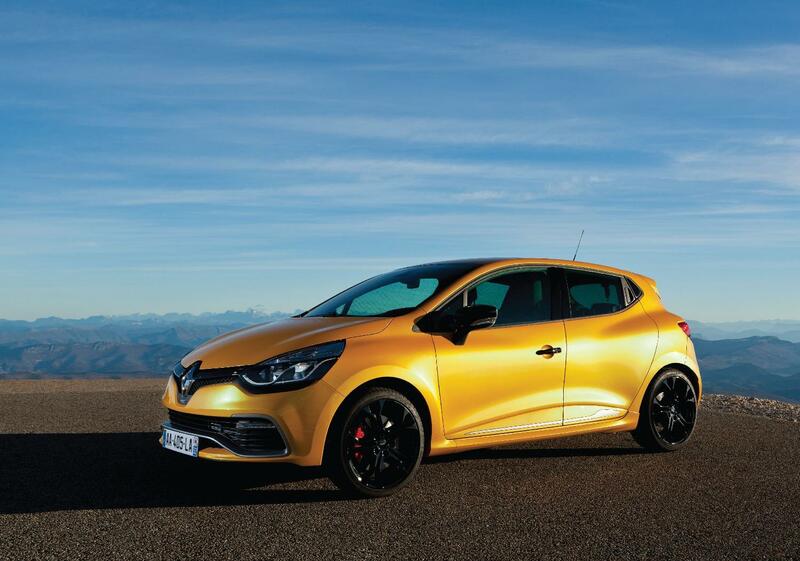 A sport chassis is standard, but a cup chassis can be optioned which lowers the Clio by another 3mm, adds 15 per cent stiffer springs and a quicker steering rack. 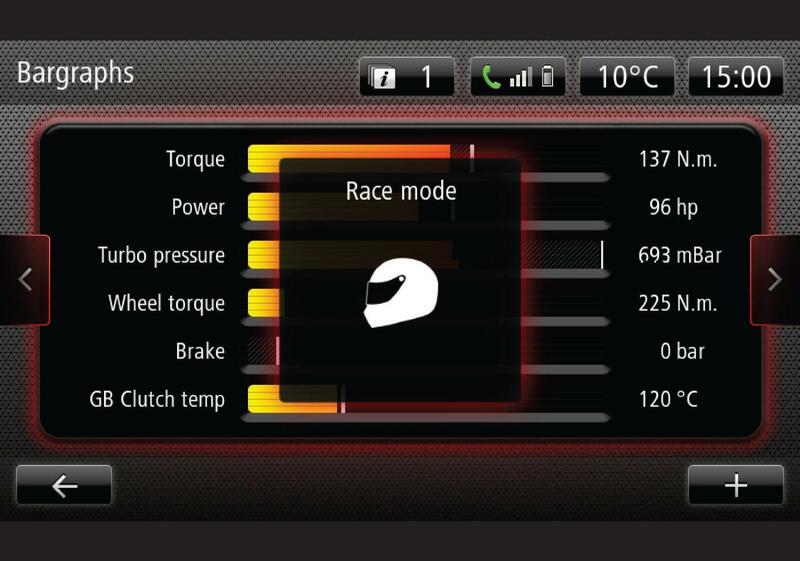 Also of interest is the addition of the RS Monitor, which provides data on temperatures, wheelspin data, performance data, g-forces and lap times from race circuit layouts that can be downloaded via a USB port. 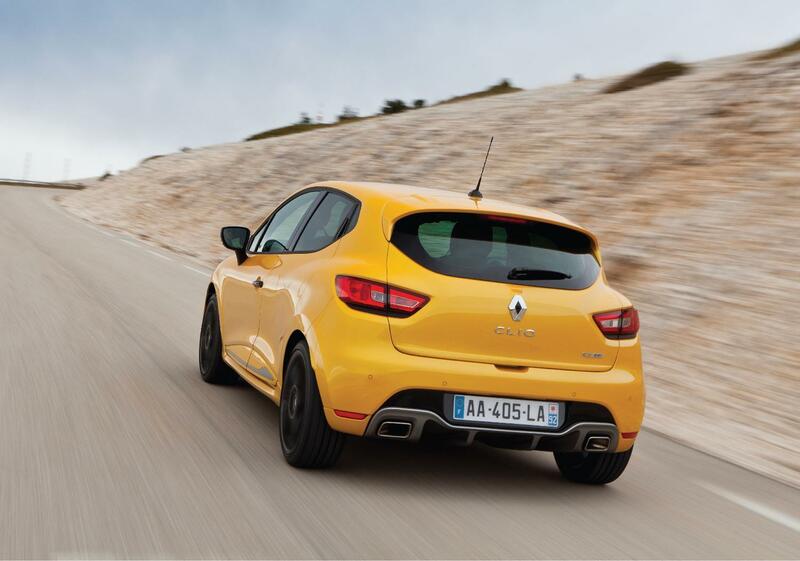 In mid 2015 a 216bhp Clio Trophy was released with a slightly quicker 0-60 time of 6.4 seconds. 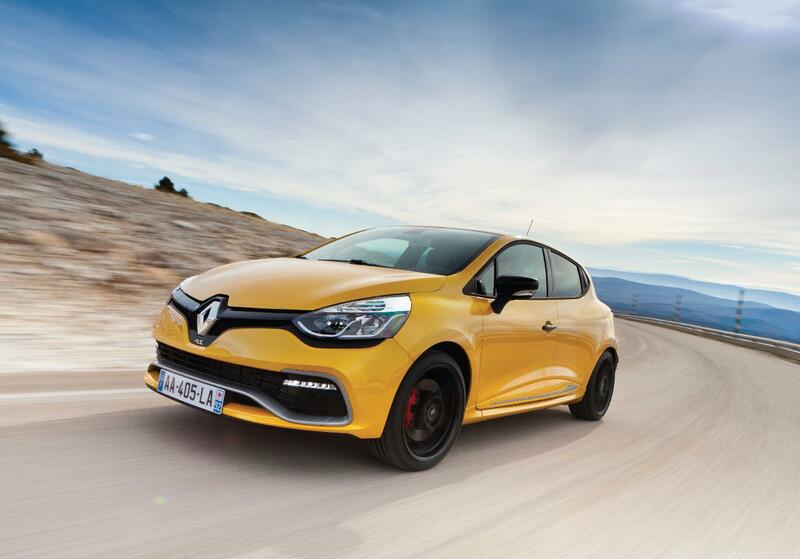 Black Option pack added 2017 for the Clio RS, see more here.